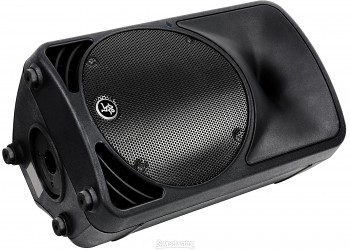 Mackie SRM350 V2 aktiv Neodym-högtalare med studioljud 61Hz-22000Hz, dubbla förstärkare, 195W rms 780W peak. 12kg. Använd gärna vår aktiva 18" sub för 1999:- till denna. 2-vägs aktiv högtalare i smidig förpackning som låter riktigt stort.Kombinerad Mic/Line kontakt. Wave-guide horndiskant och direktstrålande bas för bred spridning. 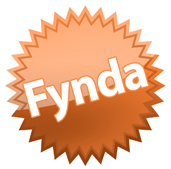 Contour-kontroll för fylligare bas och diskantåtergivning. 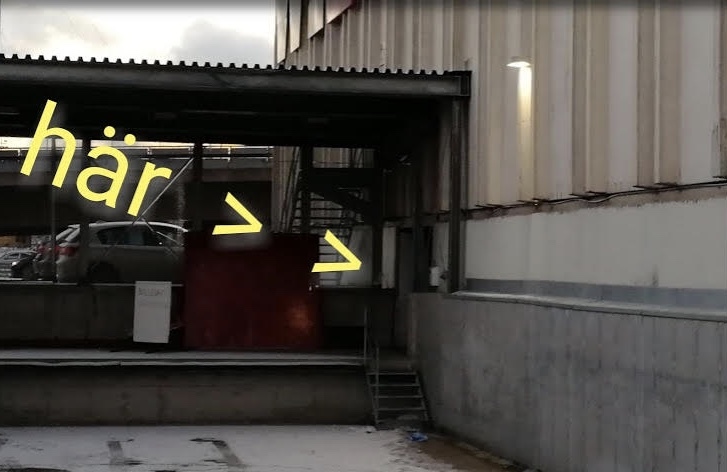 Robust lättviktskabinett för stativmontering, flygning eller som Wedgemonitor. Neodymium högtalarelement och Class D förstärkare gör högtalaren nästan 3 kg lättare än förra modellen. Dynamic Bass Boost för fyllig basåtergivning även vid låg volym. 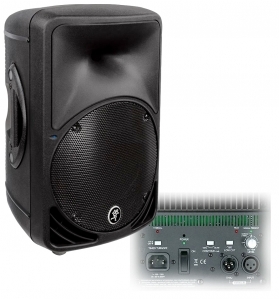 Over a decade ago, Greg Mackie and a dedicated team of engineers set out to create a portable loudspeaker that could deliver studio monitor sound quality. Unlike a relatively small, acoustically controlled studio where the "sweet spot" is well defined, live venues vary greatly, and most are far from acoustically balanced. 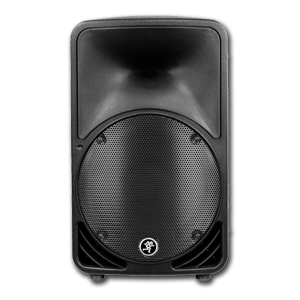 Despite the challenges, after two years of extensive research and development, the first Sound Reinforcement Monitor was born—a loudspeaker that truly lived up to its name. 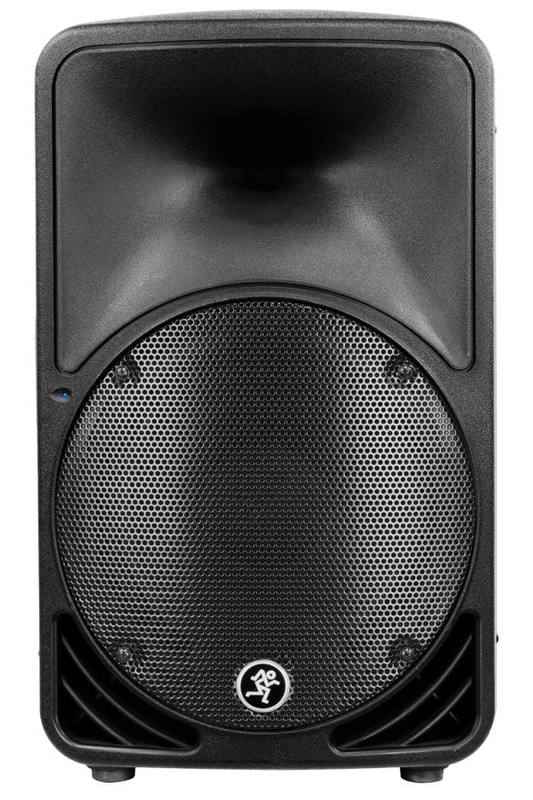 The SRM350v2 continues the SRM350’s tradition of studio monitor sound quality—and trumps it—to deliver sound that makes any venue seem like a well-tuned studio. Want to know more? Then read on. 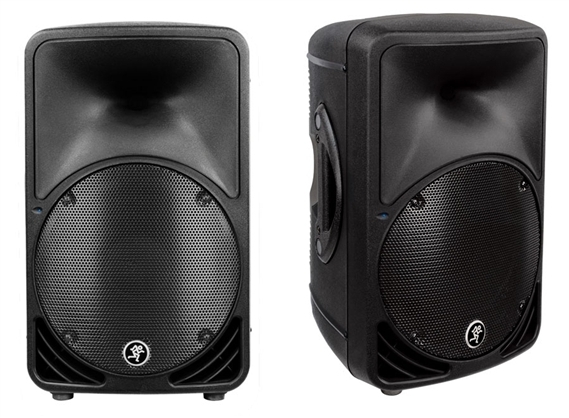 The SRM350v2 has sounds even better than the original, in part, because of it’s premium transducers. 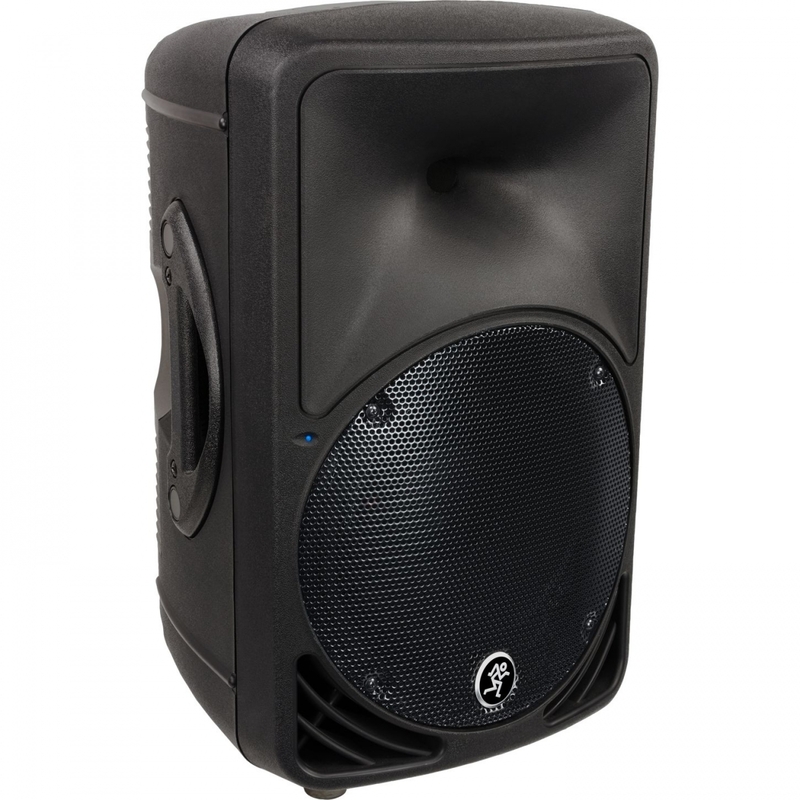 The new 10″ lightweight woofer has less mass and quicker response providing incredibly punchy response from such a small loudspeaker. Additionally, it’s titanium compression driver provides sparkle and clarity beyond the original design keeping it’s characteristic sound in-line with it’s big brother, the SRM450v2. The acoustic gurus out at EAW spent months and months tweaking these custom designed transducers so that the SRM350v2 would deliver the best sound possible in a small format box. 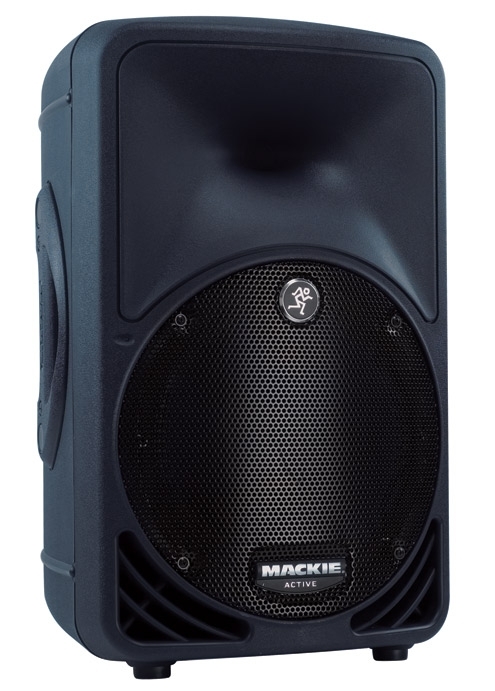 Super low distortion thanks to Mackie’s own Class-D, Fast Recovery Amplification With its combination of Class D topology and Fast Recovery circuitry, the SRM350v2 operates with incredible efficiency, and delivers much more power and clarity. With this "Class D Fast Recovery amplification," as we’ve lovingly (and creatively) dubbed the technology, the SRM350v2 handles maximum volume—and associated heat—with ease, so there’s no unwanted noise, and no thermal problems. Even after hours of sustained use at near-peak levels, your sound remains clean and your SRM350v2 keeps cool. Read more. 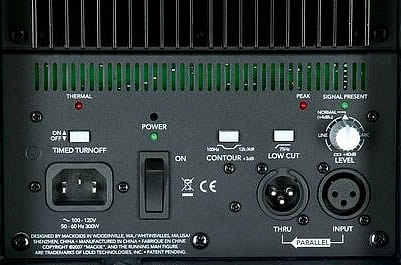 In a passive loudspeaker setup, an external amplifier is connected to a passive crossover inside the speaker, which distributes frequencies to the transducers. 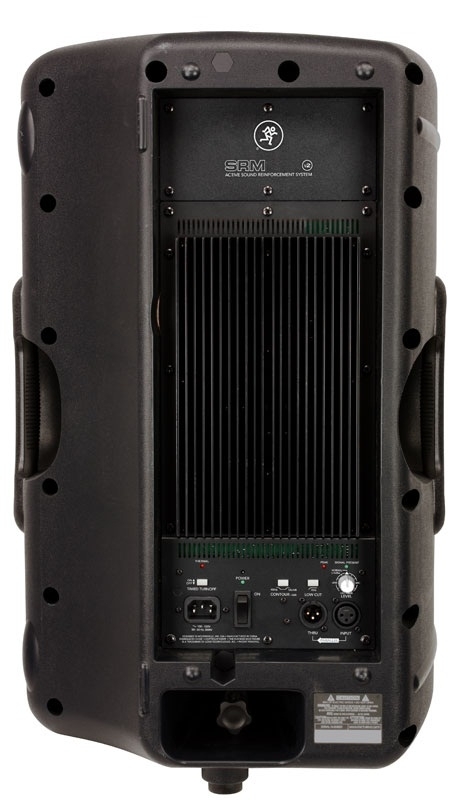 Because power amps and transducers vary widely in sound and quality, trying to match the right power amp with the right speaker can be challenging, especially if you’re not a professional acoustic technician—or rolling in cash so you can hire one. Our proven Active design does all the work for you. 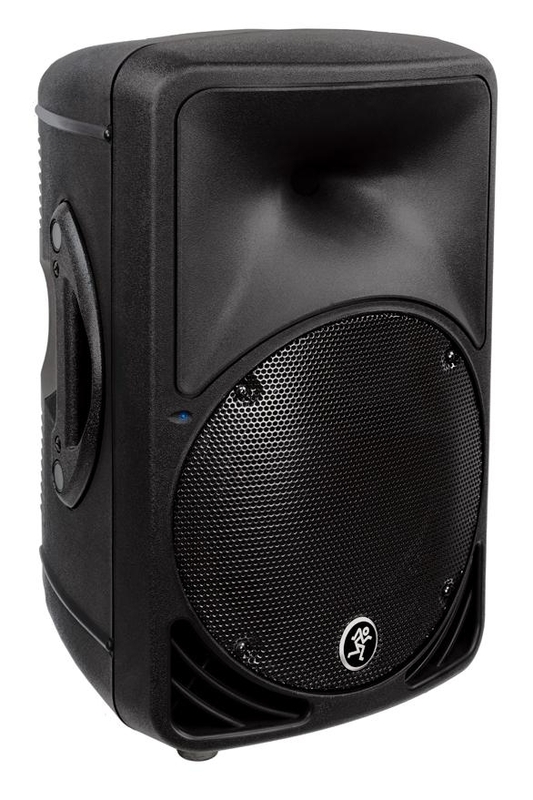 With our SRM350v2, you get a complete loudspeakersystem, with complex electronics and carefully chosen components, all precisely tuned and tweaked to work together. The result is a loudspeaker with phenomenal sound quality and power, that’s completely plug-and-play—no EQ needed. Learn what’s inside. When designing the SRM350v2, we considered every angle. From every angle is just how you can position it, too—pole-mount it from the bottom, fly it vertically or horizontally via itsoptional hanging bracket, or use it as a wedge monitor. 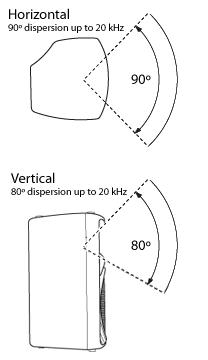 With all this flexibility, it’s the most versatile portable Active loudspeaker around. And now moving it into place is easier than ever. Weighing in at just 26 pounds—now that’s light!—you’ll have more than enough strength left over to deliver an electrifying performance after loading in. Plus, the SRM350v2 retains its rugged, Mackie "built-like-a-tank" durability, thanks to the polypropylene cabinet. 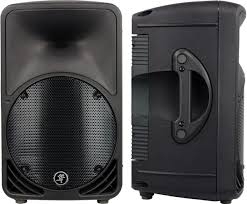 So not only do you get a portable loudspeaker that sounds phenomenal, you get one that’s tough and portable for the road, and handsome enough for the show.